Do you know why I love back to school? Not only is there my love of shopping for cute school supplies, but I also get loads of lunch inspiration. Even before I had a little one, I would look at all the healthy lunch ideas, borrowing accordingly for the office. Traditional lunch combinations can get boring! To keep things exciting, I look for ways to combine nutritious ingredients in new ways, and inspiration is plentiful! For example, for these delectable avocado tuna BLTs, I swap the traditional mayo for avocado. Tuna sandwiches are somewhat nostalgic for me. I remember my mom purchasing Bumble Bee® Solid White Albacore for us because she felt albacore tuna was a wise choice for her family. With a firm texture, light color and fresh taste – Bumble Bee® Solid White Albacore is the perfect ingredient to deliciously enhance almost any recipe, adding a variety of nutrients – including lean protein, healthy fat and important vitamins and minerals. Be sure to stop by their website for full nutritional facts. Now that I’m grown, I still keep a few cans of tuna in our pantry for quick and easy meals or snacks. 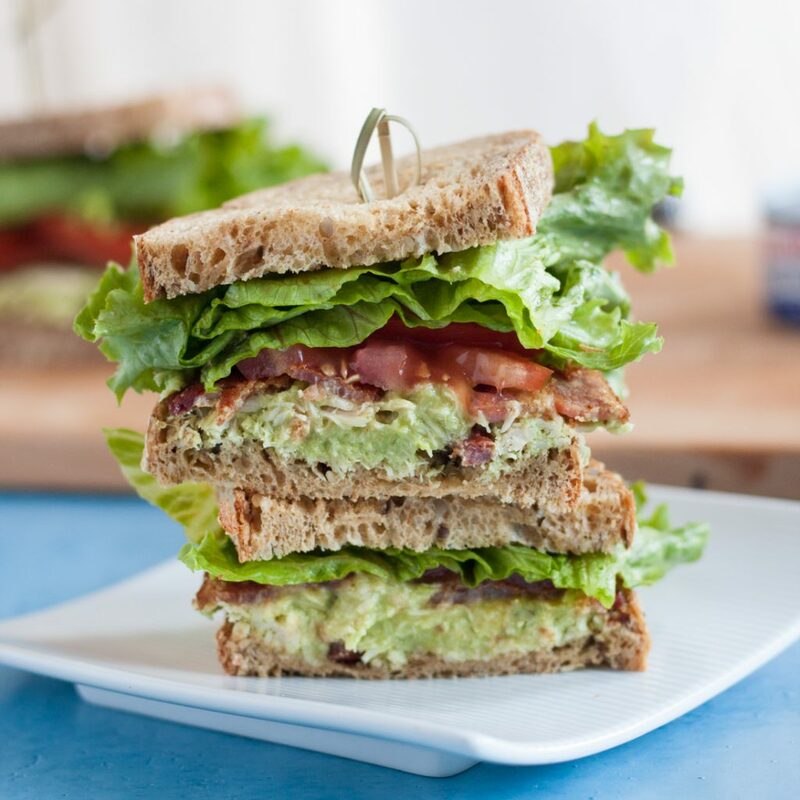 The avocado tuna BLTs are popular in our house this summer because of the high protein content, great flavor, and healthy fats from both the tuna and avocado. If I don’t have bread on hand, the sandwich contents easily convert to a salad. Versatility is fabulous, isn’t it? 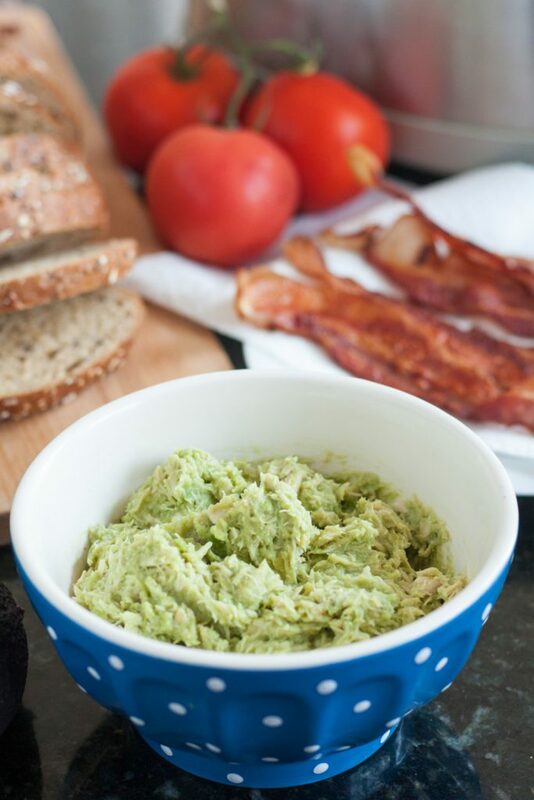 To make your avocado tuna BLTs, start by lightly toasting the bread. When making any kind of “salad” sandwich, lightly toasted bread will help with overall final texture. 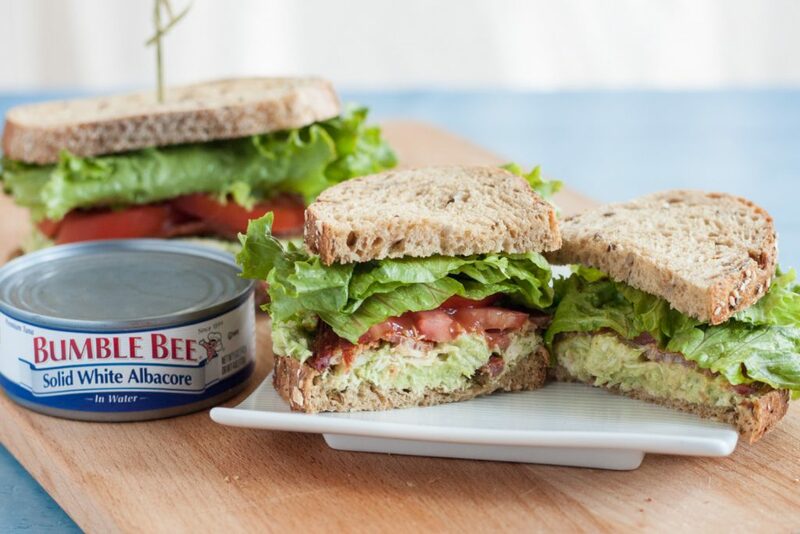 Make the tuna salad with a ripe avocado, Bumble Bee® Solid White Albacore, a bit of lemon, salt, and pepper. Albacore tuna and avocado pair together so well, I think keeping flavors simple is best. Cook the bacon on a skillet, in the microwave, the oven, or even buy the pre-cooked – whatever makes you happy. 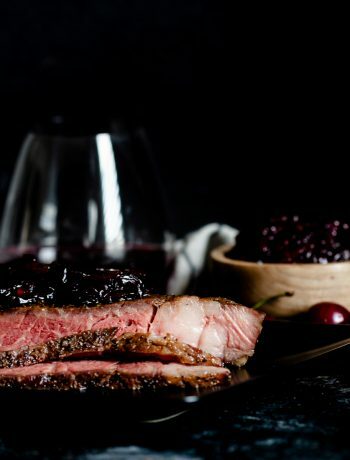 I usually use a skillet or the oven because I choose a nitrate free bacon for my family. Top with organic tomatoes and lettuce (hooray for patio gardens! 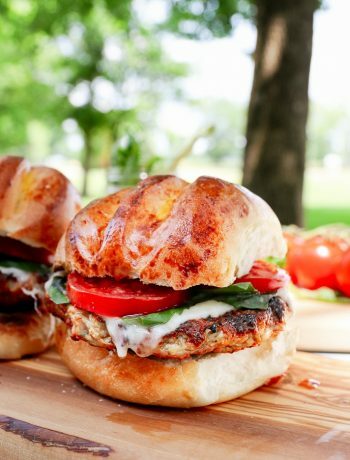 ), and you’ve got a great new twist on a classic sandwich for your lunch! When packing this sandwich for lunches, I have a great life hack tip for you: keep the tomatoes separate, and then you can add them to the sandwich just before eating. You won’t end up with soggy bread or bacon, which means maximum lunch happiness. No one likes soggy bread. 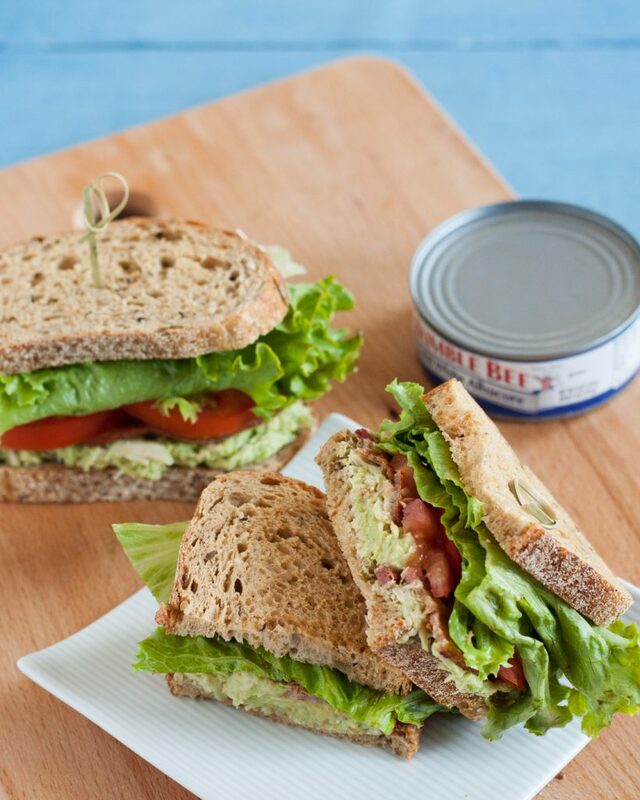 I hope you love these avocado tuna BLTs as much as we do! Be sure to find out more about albacore tuna and Bumble Bee® by visiting the Only Bumble Bee Albacore Will Do™ page! Cook the bacon using your preferred method (skillet, oven, microwave) and place on paper towels to drain. Set aside. Cut the avocado in half, remove the seed, and scoop the flesh into a bowl. Add the lemon juice and mash lightly with a fork. Mix the tuna in with the avocado and add salt and pepper to taste. Prepare the sandwiches by layering the avocado tuna salad, lettuce, tomato, bacon, and top with another slice of bread. Enjoy!